We are the governing Council Members and Water Protectors that are advising the Crystal Water Camp, Seven Fires Camp, Blue Sky Prayer Camp, Indigo Tears Camp and the Turtle Mound Camp. We are indigenous peoples and firstly, follow our ancient traditions. We have formed these camps and remain in solidarity with Standing Rock. Currently we are screening for people who have leadership skills and want to help us with building the infrastructure. 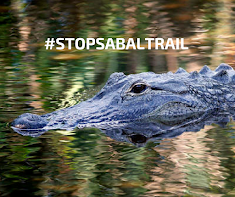 The camps we're establishing are the first "OFFICIAL" camps that are sanctioned by the Stop Sabal Trail founding members. We have set up an official legal committee and an avenue for legal fund donations, not camp donations for permanency or longevity of location. Read more about the Seven Fires Prophecy HERE.